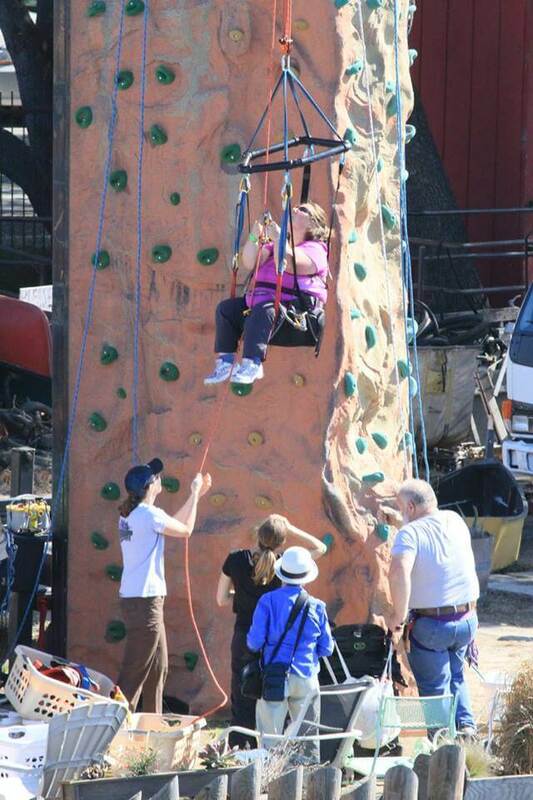 2015 Adaptive SportsFest was a Great Success! 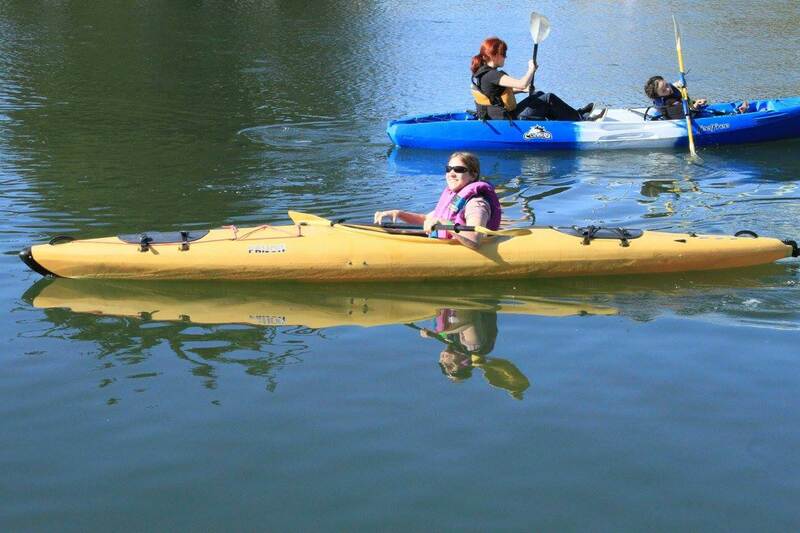 It was a beautiful day for kayaking, climbing, and cycling at the Adaptive Sports Fest on October 24th and 25th. 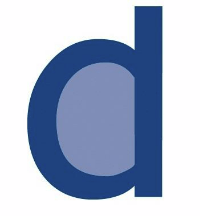 Thank you to our lead sponsor The DRALLA Foundation and all the volunteers who made it possible. If you missed out, we hope you can join us next year! Ride rolls at 11 am sharp. If you need to use a BORP bike please arrive by 10 to be sure you are fitted properly and ready to ride. 14 miles with a nice long climb up onto the bridge. Some urban city riding with cars, but mostly bike path. If you want to ride the Bridge on a BORP bike you must leave with the group at 11. Once we make it past the cars of Emeryville, we will allow independent riding. If you don’t want to ride the Bridge, BORP will be open as usual from 9 – 3 for independent riding, BUT please be aware that Bridge Riders will have priority use of BORP bikes. Adaptive Cycling, Kayaking, and Rock Climbing with Mark Wellman on his climbing wall. This event is for people with physical and visual disabilities. 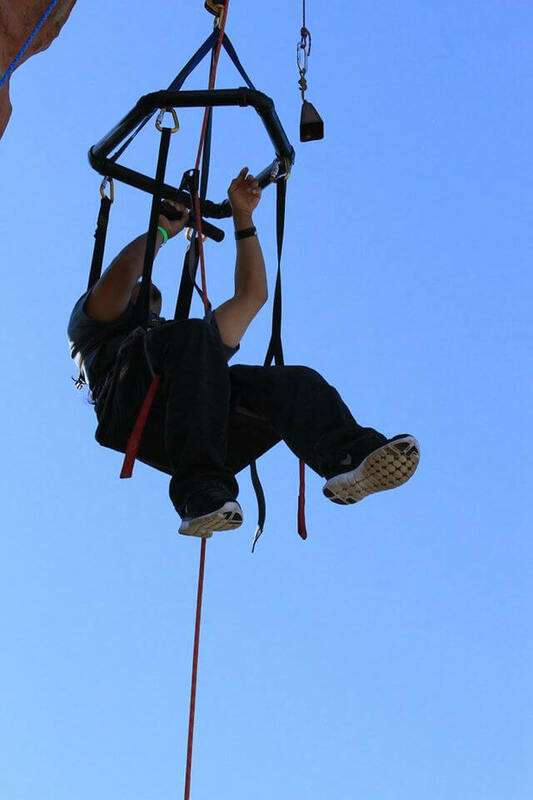 Please sign up for one time slot for each activity you want to try. Beginners highly encouraged to come try these activities! (You can also go to Eventbrite and search for BORP SportFest). Event Sponsored by the Dralla Foundation. 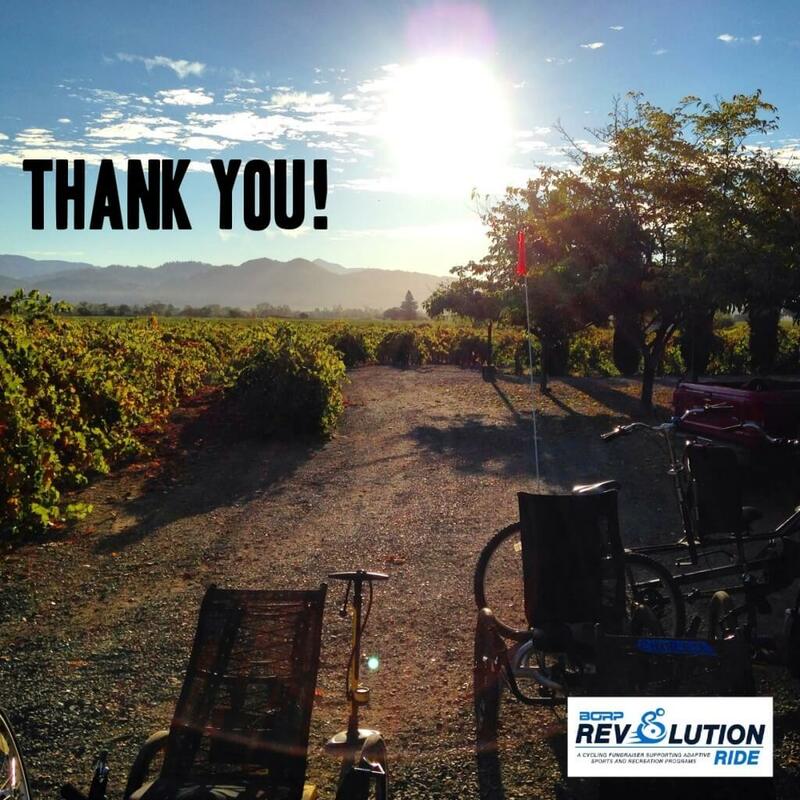 2015 Revolution Ride a Huge Success! The 2015 Revolution Ride was a great day full of bikes, food, smiles, and recognition of all those who participate in our programs. 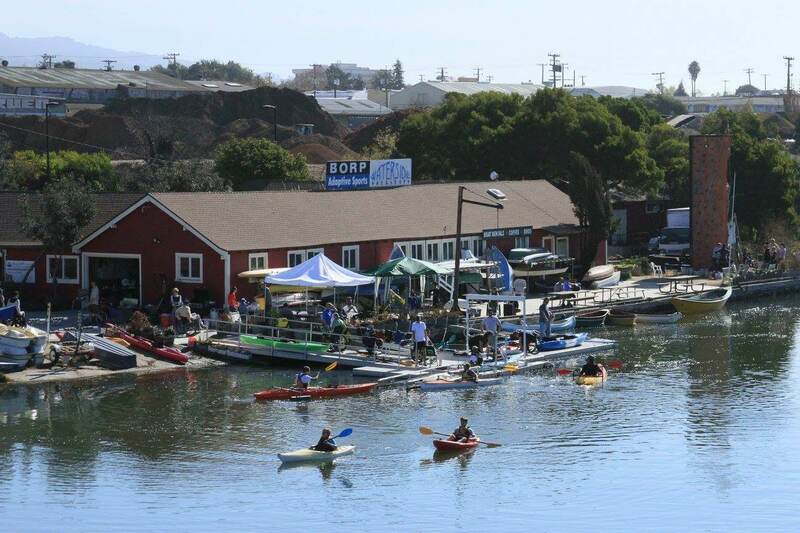 Save the date and help us celebrate 40 years of BORP at next year’s Revolution Ride on September 24th, 2016!